Do you love hunting deer in the thick forest? Good news! 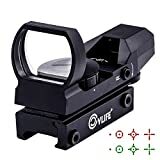 Speed Ranging Laser Hunting Rangefinder is on sale with ranging capability up to 600 yards. It allows you to measure the speed of the deer and target it accurately. The 6x magnification provides the hunters with precision as it enlarges the visual appearances of the target. 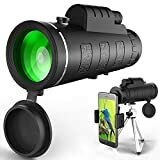 In deep forest, there are many trees, bushes, and other plants which may create problems targeting the deer, but this Speed Ranging Laser Hunting Rangefinder can measure the speed and distance without any difficulties. 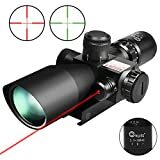 Speed Ranging Laser Hunting Rangefinder is a combination of lightweight carrying storage, battery and rubber armor body which make the laser finder attractive to all users as it is lightweight and portable. Speed Ranging Laser Hunting Rangefinder is very special for its speed measuring functions. It can measure the speed of the deer or other wild animals so that you can target accurately by calculating their motion of walking or running. This advanced technology increases your motivation as a trophy hunter. 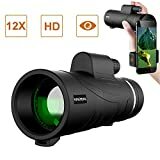 Hunting distance finder has the magnification of 6x 25mm which is good enough to enlarge the visual appearances of the deer or other animals from a long distance. It also entitles with ±1yard accurate measurement and ±5km/h speed measurement. This laser distance finder is not sensitive to water. It is firmly gripped with rubber and makes it waterproof so that you can use it in different weather condition. This waterproof property allows it to long-lasting capacity. So, it provides a weatherproof, non-slip grip, lightweight, and ultra-durable design. This laser finder has the size of 127 x 80 x 43 mm and weighs 220g with dust and water-resistant, durable body, which makes it portable enough to cover a long distance. The carrying storage case protects it from being damaged when it slides off. It has microfiber cleaning cloth to remove the dust and scratches from the body part and the crystal-clear glass. CR2 3v battery ensures the long-lasting charge, and it is also very lightweight which makes this laser rangefinder attractive for carrying in the deep forest. The rubber on the body part may tear up after using for a long time. 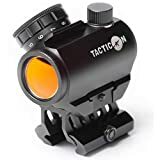 In this Wosports Speed Ranging Laser Hunting Rangefinder review, it is argued that the rubberized armor on the body of this rangefinder provides a special quality as it alone protects it from rainwater, dust, and corrosion. But we would like to mention that this rubberized armor may tear up if it absorbs too much water due to use it in the rainy season. If you rough use it, then the rubber become damaged within few days. You can handle this issue skillfully as it is not very terrific as you might think. 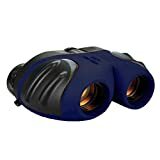 You have to carry this Speed Ranging Laser Hunting Rangefinder in the carrier bag that the company offers so that it can protect the rangefinder from different worse weather conditions. 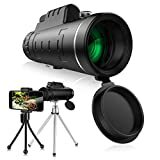 Finally, if you want the innovative feature of the speed measuring, this deer hunting rangefinder will be very appreciable and trustworthy.